Dracaena Compacta is among Dracaena that are widely used as houseplants. This plant is highly distinguishable from most other interior Dracaena, having a green stem and very tightly compacted clumping leaves that are only 2 to 4 inches in length from the base of the cane. It has a very distinct shapely look that is very popular in contemporary designs similarly to Pleo Reflexa. Dracaena are generally slow growing indoor plants, Compacta is possibly the slowest growing of common indoor Dracaena. Due to this very slow growth these speciamens are slow to change. This plant is also one of the most expensive indoor Dracaena. Frequently found to be a bit more difficult to care for than some of the other Dracaena like; Mass Cane, Lisa, Warnekii, Rikki, and Reflexa. It seems that the difficulty is compounded by the added delay in reaction to trauma. For better potential success with a Compacta, a better understanding is a must. Compacta is often touted as being a low light tolerant plant, but experience has shown that the degree of tolerance lower light is not much, it is best to stay within the range the low end of moderate light for best results indoors. Productivity can slow to a near stall for a Compacta in low light, watering must be adjusted to match the condition. In low light it will begin to loose foliage from the bottom to the top. A common problem is brown tipped leaves that can frequently appear in mass quatities, if too many of these leaves are removed at once the cane is often found to shrivel where the leaves are removed, and the remaining foliage head becomes top heavy and tips over. Symptoms such as these are typically attributed to over watering but Compacta are prone to exhibit these symptoms as side effects of acclimation. High indoor light is acceptable for Compacta. In high light Compacta will use water at a more regular rate, so it may dry out over a weeks time and need watering as frequently as once a week. Watering Compacta can be a challenge since it is most often potted in lava rock, and has incredibly slow productivity. Lava rock is a difficult soil medium for checking moisture, when watered the water rushes through to the liner. If Lava rock is the soil medium it is often best to put your plant on a watering schedule. For a Compacta in moderate light conditions watering every other week, just to the point that water starts to trickle into the liner should be sufficient. In higher light increase the frequency, in lower light decrease the frequency and or amount. The very slow productivity of this plant makes it very slow to show symptoms of over or under watering. For example when brown tips are produced the initial over watering damage that caused it may have occurred several weeks prior to the display of the symptoms. Paying attention, remembering any changes in environment, and keeping track of water application from week to week are most helpful to identifying issues and making sure to avoid over correction for a past issue that has recently shown its effects. In general Compacta is a houseplant that can be described as doing best when kept on the dryer end of the water spectrum, however it does well with a consistent watering schedule. Feast or famine watering is not a great choice for Compacta. Use more of a regular distribution, limited portion control mentality when watering Compacta for best results. Like most cane Dracaena the reactions of particular cane's can be very telling in regard to watering anomalies. Different canes have roots at different levels and their reactions will indicate different watering issues in detail. 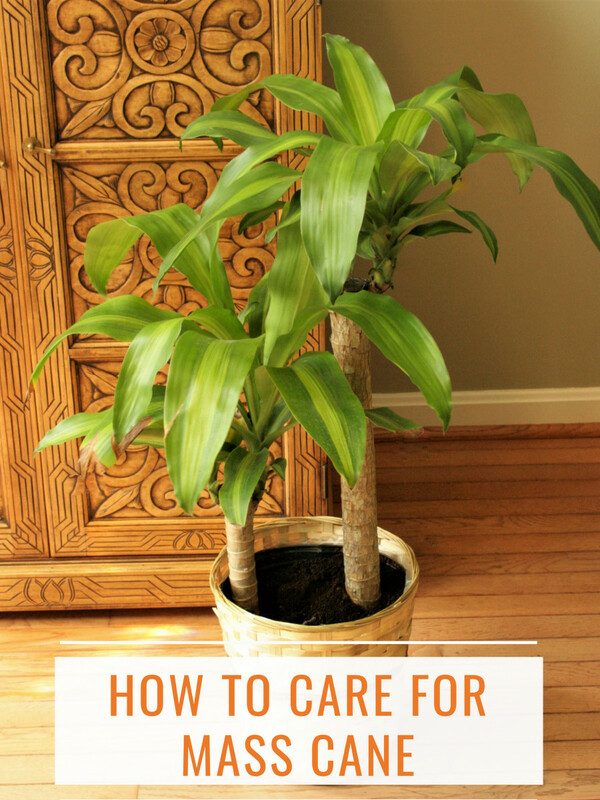 Check the link to the right for more information about the internal potting structure of Dracaena Cane's, and how to use the individual cane reactions to troubleshoot watering issues. Remember to distribute water evenly across the soil surface when watering. Have you noticed something that looks a bit like lint on your houseplant. You could have some cotton stuck on your plant, but more likely your plant has Mealy bug. To find out more about this common pest look inside the Thoughthole. The most common houseplant pest found on Compacta is the Mealy Bug. These little white linty looking bugs love to live nestled down in the foliage crowns. The best treatment for Mealy Bug is to hand wipe the visible bugs off with a baby wipe or wet paper towel. In extreme cases the new growth crown can be cut out to remove the bugs nestled deep inside. The crowns will regrow, and will often sprout multiple crowns in place, but since this is a slow growing plant regeneration of new growth can take a significant amount of time. For more information on identifying and treating Mealy Bug check the link to the right. There are some very common issues associated with Compacta that should be tended to regularly. Yellow Leaves or full brown leaves should be completely removed. This is commonly a symptom of under watering at some point. Brown crunchy, or yellow leaf tips are one of the most prevalent issues. The tips can be trimmed back to the green area of the leaf if needed, or if it is severe enough the entire leaf can be removed. If this problem becomes persistent and severe there is either an issue of over watering or inadequate. Remove dead canes if they are to die out. Rotate to maintain balance and distribute light evenly around the entire plant. Dust your plant to keep it looking green and shiny.Start from the top and go down the foliage with a duster, a bit of detailed dusting may be needed to get into the tight leaf bases. Given the proper attention and living space Compacta can make for an interesting and visually striking houseplant. The leaves are turning black on my Dracaena Compacta, what would be the problem? Black or purple leaves most often indicate damage from cold exposure. Compacta leaves will also begin to turn purplish black at the base and defoliate if light exposure is too insufficient. Is tap water good to water my Dracaena plant? 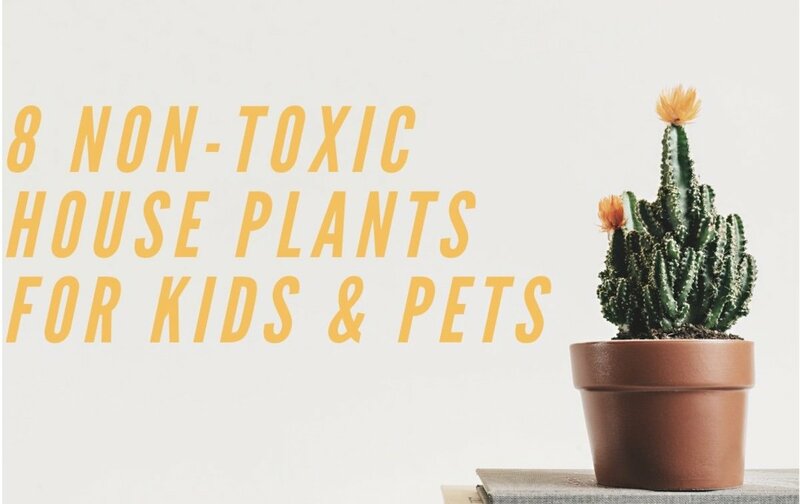 Yes tap water is fine for watering houseplants. Avoid using soft water. Almost all of my dracaena compacta's heads have completely flopped over. I neglected them for a while, and a lot of its leaves turned brown. After I removed the brown leaves and started paying attention to it, I've watched as they've all just tipped over. Some of the canes have started to shrivel too. Even these sad heads seem to have new growth, so I'm confused--do I cut them back? Can I stake them up? Since compacta is a slow processing plant, it is very common that a plant that has been neglected for a while will display the full effects of that neglect after normal care has been resumed. It is a delayed reaction which does commonly cause confusion. From what you describe, it sounds like some permanent root damage has occurred during the period of neglect effectively cutting off or dramatically diminishing the plant's ability to absorb and deliver water. I believe the growth on the tips is living on reserve water between the space where the stalks have wrinkled and bent and in the crow. Once that water is gone, the foliage crowns will completely die. To revive this plant the leaf crowns will have to be removed. Check the remaining stalks for overall stability. If the whole stalk moves from side to side with ease, the root structure is very weak. If the stalks are still sturdy, there may be a reliable root structure left. Water what is left consistently, and allow the soil to dry between waterings. It is common for people to overcorrect an issue like this with too much or frequent watering. This will further damage any remaining roots. If the plant has been able to hold onto enough root structure and has enough viable plant cells left in the stalk, it will slowly begin to regenerate foliage. If too many roots and remaining plant cells have been damaged the remaining stalk will not be able to absorb water and will ultimately die. If this is the case, you will continue to see more wrinkling and discoloration of the remaining stalks. The leaves of my Dracaena Compacta are looking a little droopy. Would this mean that I am over or under watering it? What should I do to correct this? Drooping leaves are most commonly associated with underwatering, however, if a plant has been overwatered to the point of causing root damage weepy foliage can result. Check the moisture level in your soil using your hand, and or a soil probe. If it is overly dry water accordingly. If the soil is wet take measures to allow for adequate drainage, and avoid watering until the time soil media has dried out. One of the canes on my twenty-year-old plant is dying. The cane is dark and wrinkled and the leaves have started to yellow. What do I do with this cane and is there still hope for the rest of the plant? Unfortunately, once a cane has become visibly wrinkled and discolored it is usually done for. The cane has likely been on the decline for a while. If this is a plant with multiple canes, simply remove the cane that has died by twisting it and gently pulling it from the pot. Some soil may need to be added after it is removed in order to backfill the whole that will be left. Do Draceana thrive in a humid or more arid environment? I have rooms with fans to circulate the air, but I've read that some plants don't tolerate drafts. Dracaena should not be affected negatively by a ceiling fan, just be sure to be mindful of watering to compensate for the increased airflow that may increase the evaporation rate of moisture in the soil. My dracaena looks like someone put small circles of flour all over the plant. How do I tell if it's powdery mildew or mealybugs? Why should soft water be used for Dracaena? Houseplants of any kind should not be watered with soft water. Regular tap water, or hard water should be used to water indoor plants. My Dracaena Compacta got hit by a cold draft. The leaves look purple. Can it be saved? Sometimes Dracaena will recover from a cold snap, and sometimes they won't, it depends on the length of time it was exposed to the cold and just how cold the exposure was. Make sure the plant has optimum lighting, and remove the exposed foliage as it dies off. Any foliage that has changed in color will not recover, but the plant may generate new foliage if the stalk was able to avoid damage. Remember that this plant is a slow grower, so be patient with it. How do you correctly pronounce Dracaena? Is there a slang name (more common) this plant is known by? My best attempt at a phonetic spelling of Dracaena is, Dra - See - Na. Many varieties of Dracaena exist so there are many common names for Dracaena. However, the most frequently used nontechnical name I have heard used for many varieties of this plant is “Corn Plant”. My dracaena compacta has only a few leaves left and all are turning yellow from the base. I have watered with softened water. Is there any way to save the plant? Check that the cane is still stable in the soil, this is a good indicator that the roots are still viable, if it is extremely wobbly the root system may be damaged beyond repair and there is not much hope for rehab, if the cane is stable take the following steps. Dump any standing water that may be in the plants liner. 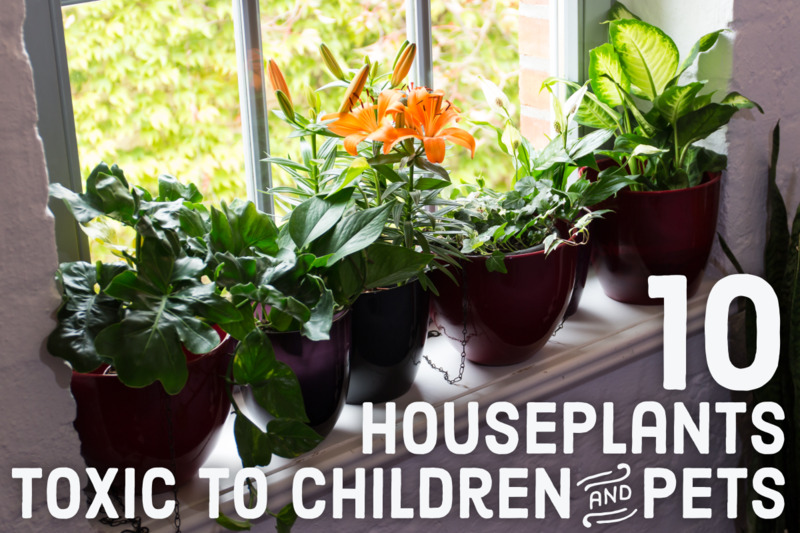 Place the plant in a spot where it receives diffused sunlight for as much of the day as possible. Allow the soil media to dry completely before attempting to water again. Use water that has not been softened when attempting to water again. Best case scenario the cane will begin to produce new foliar heads overtime. Remember that Compacta is a very slow growing plant, so it may take quite a while to refoliate if it is going to do so. My Draecena is dying because of root rot. Must I apply a fungicide? If so, which one? Fungicide will not help root rot. Root rot is caused by an overabundance of standing water or moisture within the pot. Unfortunately, damage caused by root rot is irreversible, you can, however, take steps to try and prevent further damage by drying out the soil. If there is any standing water in the plant's liner drain it out, do not attempt to water again until the soil has dried out. There is a slim chance remaining undamaged roots, if any, may survive, and new roots will generate. A severe case of root rot is often fatal, so if this comes to pass just be careful about overwatering, and in the future, make sure your plants are potted in a manner that allows water to drain. The stem on my cane is bending over and leaning to the left. Is this normal? Do I need to move it to where there's more light? It is common for Dracaena stalks to lean. This can be a result of them leaning toward a light source, or just a symptom of instability based on how the plant is seated in the pot and soil. 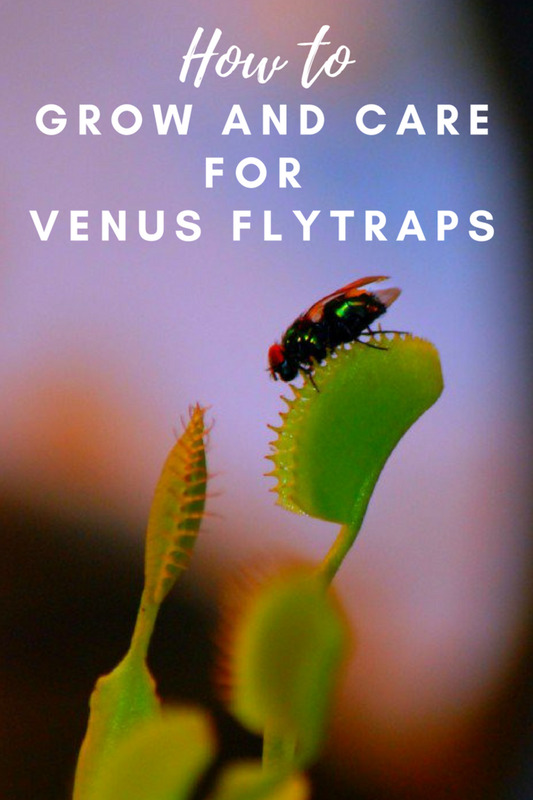 If the plant seems to be otherwise healthy, you can simply push the plant into its upright position and pack the soil around the base to support it. If the foliage seems to be heavier on one side, rotate the plant as well advised. If you notice that the soil line is low when the cane is placed upright, adding some soil media to the pot can be of great help. A Dracaena that appears unhealthy and is leaning can mean that it has experienced some root damage and it has become unstable because its healthy root base has been compromised. The seeds in my dracaena compacta are now drying out. What should I do with them? If there are seed pods on your dracaena, cut them off and discard them. Seeds are not much use for an indoor plant. Can a dracaena be trimmed when it’s too tall? 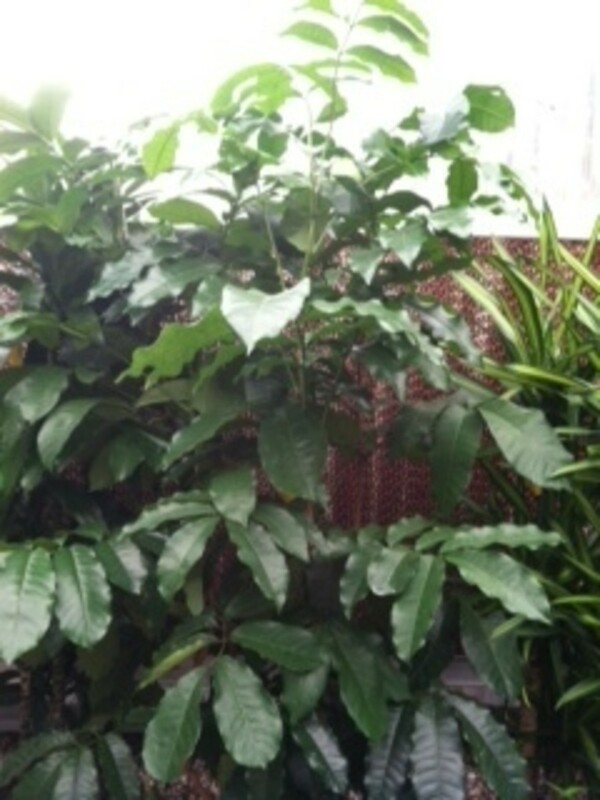 The foliage portion can easily be trimmed back in the case the plant has grown too big. Trim the foliar part of the plant by cutting the crown back to the height you desire. The Cane portion of the plant can also be cut down, but this will be a bit more complex and potentially detrimental to the plant. Cutting the cane down should really be reserved for situations in which the plant has sustained damage or portions of the cane have died. Are Dracaena Compacta safe for cats? Yes, Draceana Compacta pose no threat to cats. I have tiny white jumpy little bugs in my soil. How do I treat my Dracaena? Start with drying out the soil as much as possible before watering again. Most soil pests require high moisture content to live and have a good source; drying out the soil will often take care of the problem. In case the issue persists beyond this, look into what kind of pest you have, and treat as directed. Does the Dracaena Compacta Janet Craig plant produce blooms? Dracaena Compacta can produce blooms. It is recommended for interior plants that they are removed. The blooms create stress on the plant and offer little to no benefit. The leaves on my Janet Craig are turning black. I've been underwatering once a week for 2 years which and it's been fine until this winter. Can the damage be caused by soft water? We have a water softener and I just read that soft water is not good for these plants. Any tips on how to bring back my dracaena are much appreciated! Can someone tell me the proper pronunciation of Dracaena? And is there a more commonly known name the Dracaena compact Janet Craig is known by? 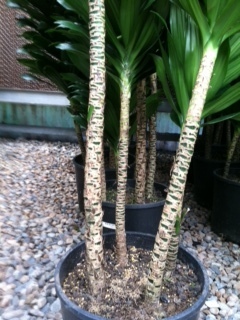 Is it recommended that the Dracaena Compacta Janet Craig be placed in aerated soil like cactus/succulent soil? Glad the article was of benefit Angela. That is quite a dramatic misidentification, a Peace Lilly would have nearly opposite water requirements than that of a Compacta, its good thing you got that sorted out. I would recommend moving your Compacta to a higher sunlight, and (or) a space with greater airflow exposure if possible. The higher light will speed the plants use of the water, and likely generate new foliage. Greater airflow will assist in evaporation. Once the plant stabilizes I would reevaluate, if it seems to be that the soil can be watered and dry adequately I would avoid repotting, and adjust watering to allow the soil to dry adequately between watering. If the soil content retains moisture too heavily you may want to consider repotting with a soil that will not retain moisture so heavily. I hope this helps, good luck! Anyway, I repotted my plant in a larger pot with moisture control potting soil about a month ago. It isn't doing well and I can see why after reading more and more about dracaenas. :-\ It is in pretty low light conditions now. I have leaves that are all yellow, some all brown (I remove them) and some with brown tips. I'm not sure what to do next. Should I repot again? I'm afraid I'll stress the plant even more. I can definitely move it to an area with more indirect light. Thanks for your help! I'd really like to keep the plant alive in memory of my dad. Hi, my plant is super tall , can I cut off the top? can I re-root the one I cut off? can I put it in the some pot? Tyler, you can cut a stalk back to a desired height. Draceana will usually sprout new heads at the point they have been pruned, it is also not uncommon for them to occasionally sprout multiple heads from that single point. Jan, you can simply lop the top of the stalk back to the desired height. New growth should begin to regenerate from that point, occasionally multiple new stalk points will begin to emerge. You can attempt to root the portion that has been removed, for this I would recommend referencing some information on root cutting techniques. My dracaena compacta is quite tall and top heavy...I have had to pull a number of brown crunchy leaves off of the stalk. How do I cut this back to a more manageable height? I have bamboo stakes around it now. Can I root any of the stem that I cut off? I thought the dead, crunchy, brown leaves was a soil infestation problem...seems I am the problem/cause of the brown leaves....I can work on that. Have had the plant for 3 or more years. Stephen, I am assuming you are asking about lost foliage in your comment. What you have described does not sound like a healthy plant. It would be my guess that your plant has lost foliage due to low light conditions especially if you have witnessed the leaves turning mosiac yellow all over before falling off. If you have seen purple colored leaves before they have fallen off some the plant may have been exposed to cold. Compacta are a very slow processing plant, so I would also venture to guess that watering once a week may be too much, make sure the soil or lava rock dries out before watering again. 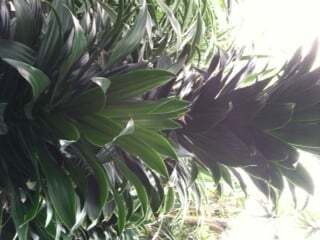 My dracaena compact is long its leaves, and only has clump at the topmof each stalk. is this normal?I water it once a week. Hellon, I would recommended using a non aerosol leaf shine to achieve the look you have mentioned. There are many aerosol leaf shine products but I have found them to be too thick leaving a thick film, the non aerosol tend to leave a cleaner more natural shine. Simply cleaning your plants leaves with a light mixture of dish soap and warm water can also work wonders for it's appearance, and help defend against pests and disease. I have never used mayo as a shine product, and my basic instinct leads my thoughts to potential food born bacteria, so this is something I personally would avoid. I have seen a lot of Mass Dracaena Cane plants in business and in churches that their leaves are pretty and very shinny. Someone told me to use mayo. I don't have a green thumb but I never heard that before till now, is that true or is there another way to make the leaves look nice instead of dusty looking. You can repot it with the lava rock, which is a common soil medium for a Compacta. Add in more lava rock if you can find it, or it is fine to mix in soil with the existing lava rock. I would recommend that if you use soil find an indoor cactus soil, regular potting soil can often retain too much moisture for a Compacta. Most importantly, before repotting evaluate if that is really necessary. Repotting can be very stressful on house plants, especially new ones. If it's a matter of the look of a container there are some options other than repotting. Hope this helps, Thanks Christopher! I bought a dracaena compacta that was potted with lava rocks. How do I repot the plant to a new pot? Do I keep the lava rocks? Use potting soil only? Or both?